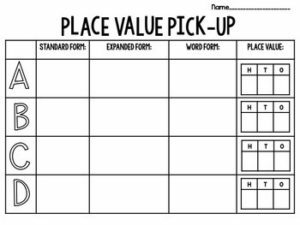 This Place Value Packet contains many hands-on & engaging games and activities! These games/activities can be used as station activities or as partner activities. All are printer friendly! Just Print and GO! These are perfect for centers! Activities include hundreds & thousands. Please leave feedback for your freebie!! Check out some of my other products!